My 5 year old daughter still needs to be in a car seat wherever we go. Spontaneous trips with friends, grandparents, taxi rides carefree travelling are not possible…until now! 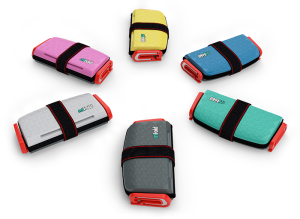 Mifold has officially changed how kids travel! And they’ve made life easier! Mifold is literally grab and go! It is 10x smaller…yes 10x!!!!! And it is just as safe! The most compact booster EVER invented! 2- No more fights about car seats! Older kids won’t feel babyish anymore! 5- YES! You can finally say yes to spontaneous trips with friends & family! Click here to find out more about mifold.